Whenever there is a controversial biblical issue (for example, timing of the rapture, signs and wonders for today, apostles and prophets, replacement theology), I ask myself one simple question: What conclusion would I come to if no one had influenced me and I simply read the Bible for myself? If we were reading the New Covenant for the first time, would we conclude that there are no longer apostles and prophets? Most new believers, after reading the book of Acts, are eager to see God's power. "But, Ron, we aren't supposed to focus on power." Amen! That was Yeshua's warning after the disciples came back from casting out demons and healing the sick. He chided them for being overexcited about the supernatural and potentially missing the most important thing, that their names were written in heaven. He only lightly admonished them, and encouraged them in the supernatural: "Look, I give you authority to trample on serpents and scorpions, and over all the power of the enemy. And nothing shall by any means hurt you" (Luke 10:19). Yeshua said that believers in Him will do greater works than He did (John 14:12). In the book of Acts, we see believers healing the sick, raising the dead and casting out demons. If we conclude that miracles are not for today, what about demons? Do demons still oppress and possess? Is it now God's will that we keep these demons? Or, are we called to cast them out as we see in the book of Acts? The Word lines up with my experience. Experiences means something, particularly when it confirms the Word of God. (I often remind people who don't believe in the restoration of Israel, that Israel is, indeed, restored.) I have seen blind eyes opened and the lame walk—I have seen people full of demons find freedom in Jesus and have seen these demons flee when confronted in the name of Yeshua (even in countries where the possessed/oppressed person didn't understand English). In our congregation, we have a woman who was oppressed by demons for decades. The moment she was immersed in water, the demons left her, and she is a new person. As for healing, my administrator used to get migraines every day at 13:30. In June, U.S.-based healing evangelist Todd White prayed for her briefly in Jerusalem, just as he was getting in the van to leave. The migraines never came back. I have personally prayed for many unbelievers in Israel to be healed and have seen the majority cured instantly. (roncan.net/2GLw0BB). Paul spends three chapters on the gifts of the Spirit. Why are such rules about prophecy even in the Bible, if it is done away with? He exhorts in 1 Cor. 14:1, "Follow after love and desire spiritual gifts, but especially that you may prophesy." "But, Ron, Paul says prophecy will end." (1 Cor. 13:10) Yes, but when? Some say at the finish of the writing of the New Testament. Paul says that it will end when "that which is perfect comes," when we see "face to face." (verses 10, 12) That clearly refers to the Second Coming of Yeshua. Only then will all be revealed and there will be no need for prophecy. 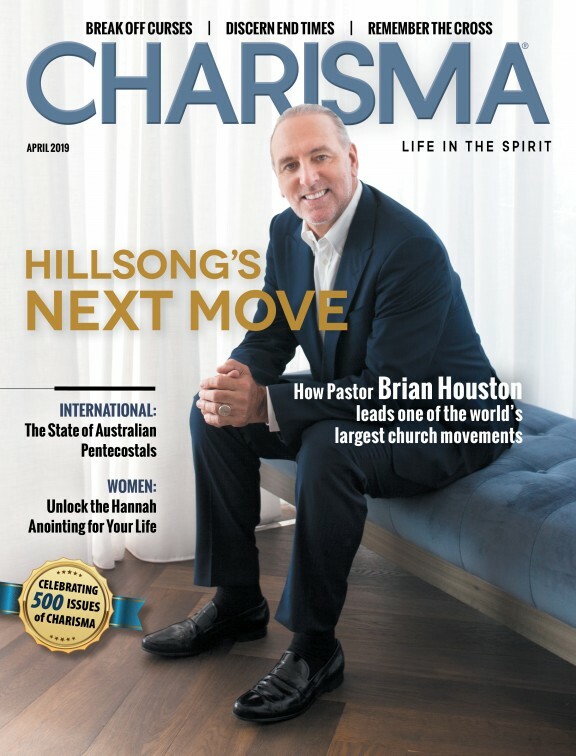 More believers identify as charismatic believers than non-charismatic. According to a Pew research poll, there are 584,000,000 charismatics/Pentecostals, as opposed to 285,000,000 evangelicals. Also, in many of these charismatic movements around the world, they firmly believe in the restoration of apostles and prophets. Some use the term "bishop" to refer to a leader of leaders. Others use the term "apostle." An apostle is a leader of leaders. Like Paul, he wants to take the gospel where it has not been heard (Rom. 15:20). Christianity Today uses the term "spiritual entrepreneur" about someone apostolic who births multiple ministries. Is he a pastor, a teacher, an evangelist? Could he be an apostle? Again, if you are reading the New Covenant for the first time, what are the chances that you would come away thinking the gifts of the Spirit and apostles and prophets are no longer needed? In my opinion, very small.